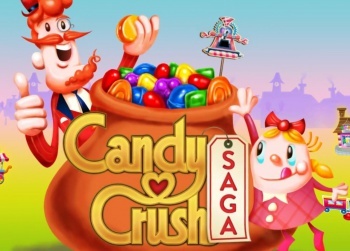 Candy Crush Saga maker King has given up its effort to trademark the word "candy." Update: King has confirmed in a statement that the trademark application withdrawal is legitimate, but noted that it only applies to the U.S. and that it will continue to pursue infringement of its trademarks. "King has withdrawn its trademark application for 'Candy' in the U.S., which we applied for in February 2013 before we acquired the early rights to Candy Crusher," a spokesperson for King explained. "Each market that King operates in is different with regard to IP. We feel that having the rights to Candy Crusher is the best option for protecting Candy Crush in the U.S. market. This does not affect our E.U. trademark for Candy and we continue to take all appropriate steps to protect our IP." After weeks of bad press and PR over its attempts to enforce a trademark on the word "candy," Candy Crush Saga maker King has walked away from the fight. A USPTO filing made yesterday states that the company "expressly abandons the application for trademark registration" of the word. King filed a trademark application for "candy" in February 2013 and it was approved for publication in January of this year, after which the company began aggressively pursuing claims of infringement. While it said that it was only interested in fighting genuine cases, its actual behavior was ugly and ham-fisted, particularly its acquisition of an old IP to undercut the trademark claim of CandySwipe, a game that predated Candy Crush. We've reached out to King for confirmation and comment and will update if and when we receive a response.